Hats, balloons, pin-the-tail-on-the-donkey . 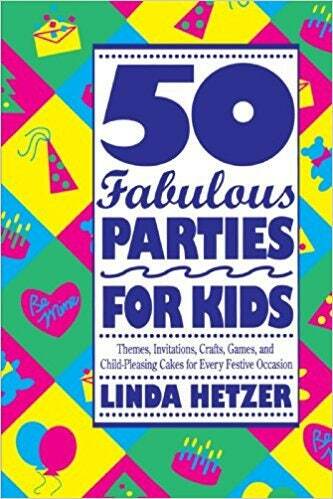 . . if your children are bored with standard party fare, these 50 fabulous party themes may just fit the bill. Arranged by both occasion and age group, here are wonderfully imaginative--but easy-to-accomplish--ideas for a Circus Party, a Teddy Bears' Tea Party, a Prehistoric Party, and more. Line drwaings.